since the blog entry for the first part of the day was getting quite long, i’ve added this second entry for reading convenience. 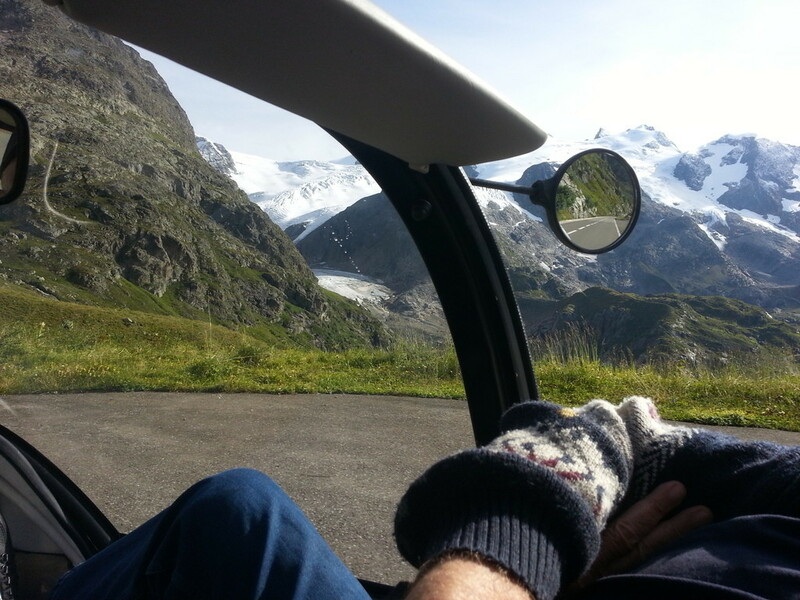 we take up the action after having very nice lunch at the silwängi alp hut and are on our way down to the schönisei valley. 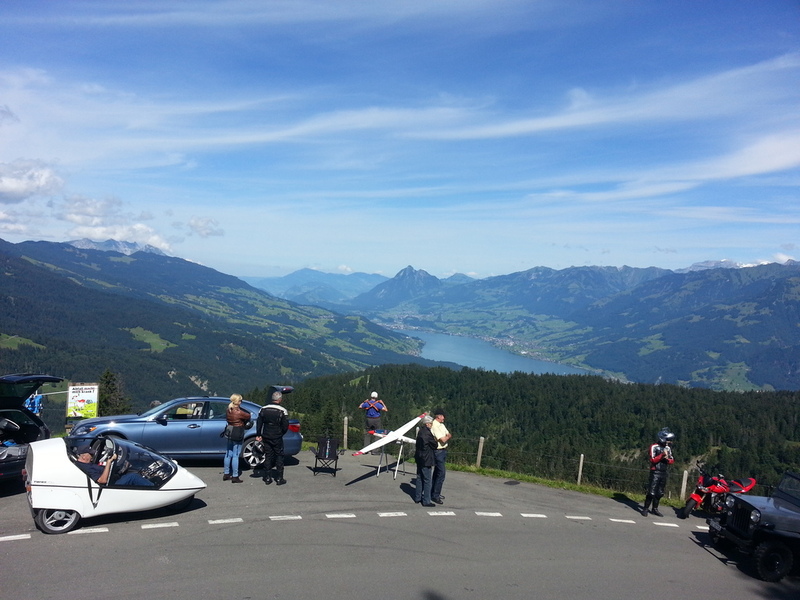 at the top of glaubenberg-pass (a very narrow street where busses and trucks have to take 30-min turns, since they cannot cross) a bunch of british motorbike riders start chatting with us against a magnificent backdrop. we leave them after a short while since we see the time advancing by very quickly. 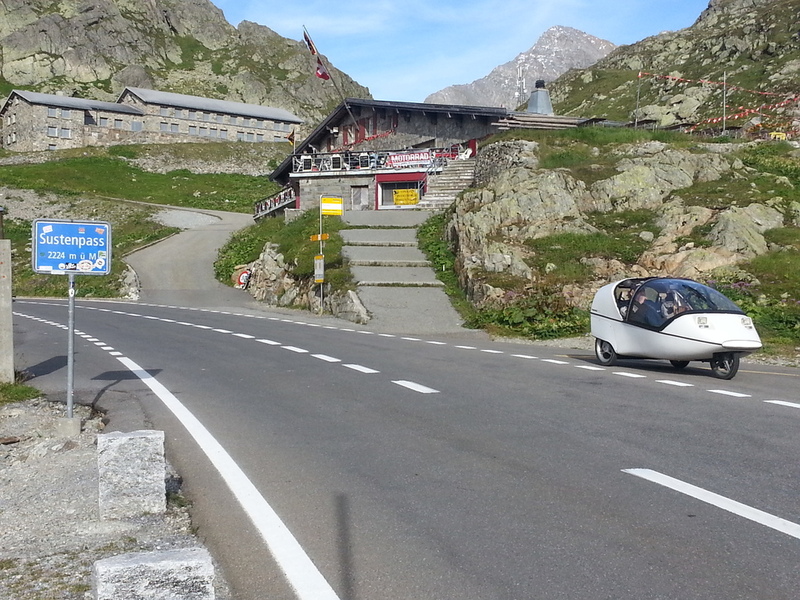 on our way down from the glaubenberg to giswil we get back 1130Wh by recuperation and end up using only 95Wh for the trip from Silwängi Alp to Giswil > 95Wh for 32kms, not bad at all! 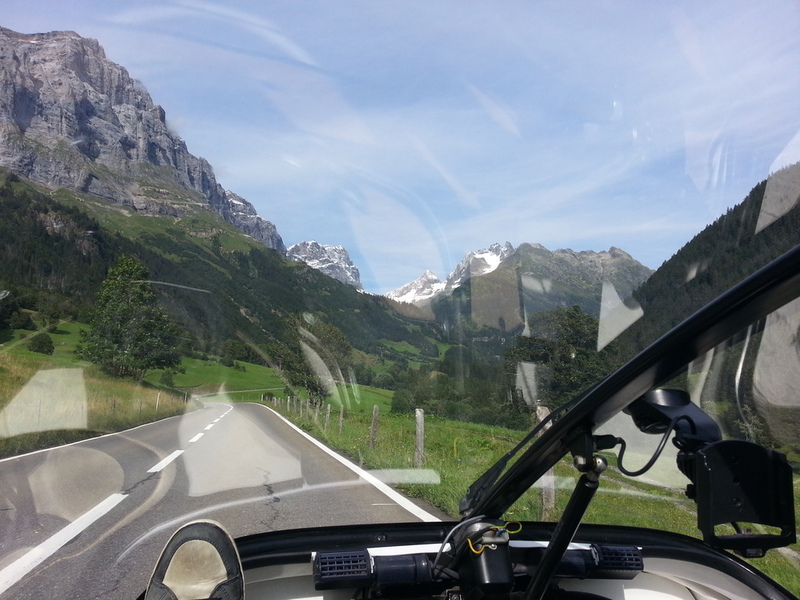 from here we head towards giswil and the brünig pass. lots of cars, motorbikes and people. 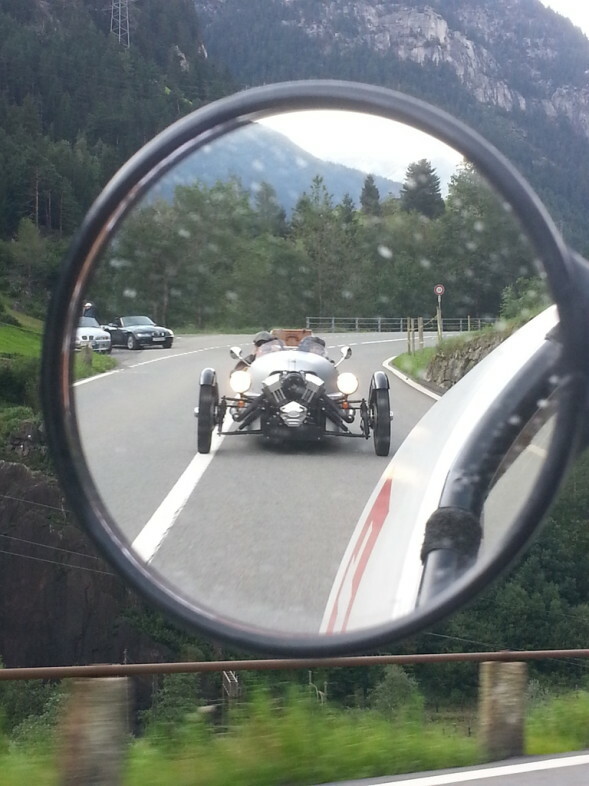 most tourists are heading from interlaken to lucerne – traffic jams included. 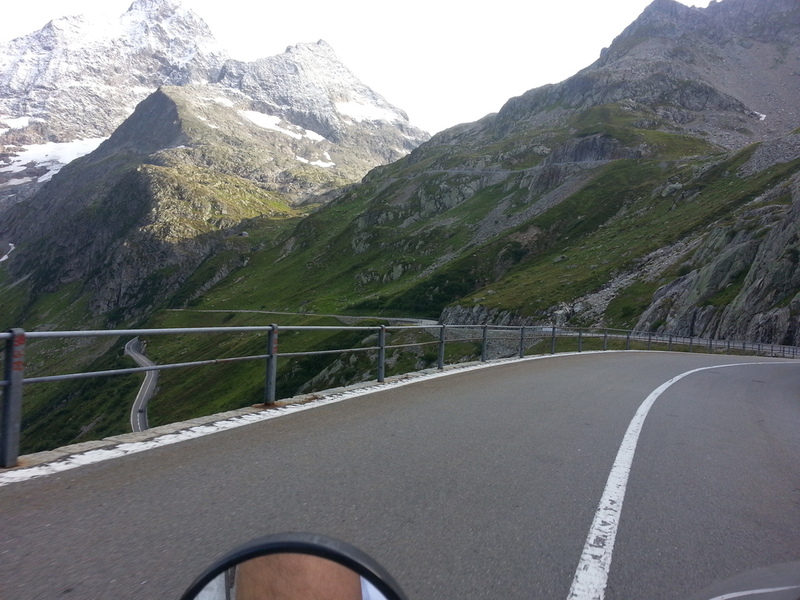 after this pass we start a serious ascent to the susten pass from about 400 metres altitude to 2224 meters. 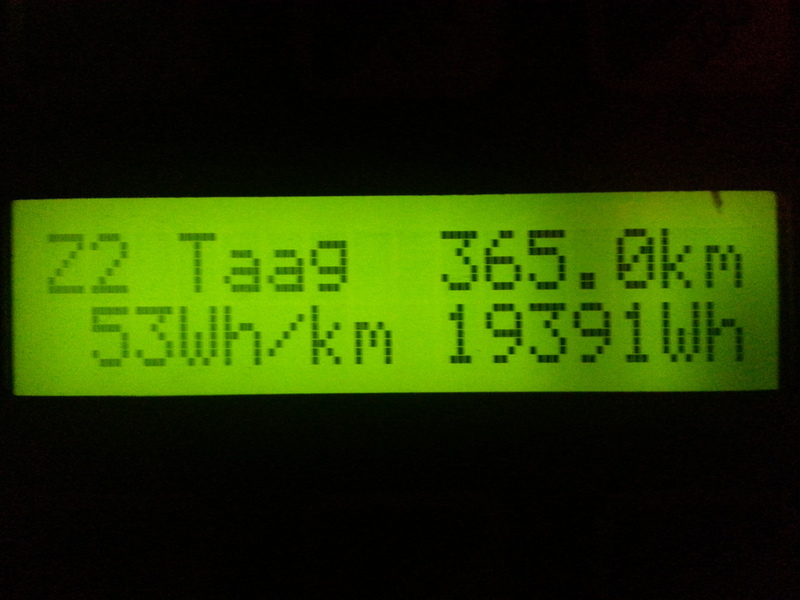 prior to the trip, i calculated that at the top of susten pass we should be left with about 200Wh of a total of 5900Wh (about 3%! of the charge). we’ll be cutting it very, very finely! 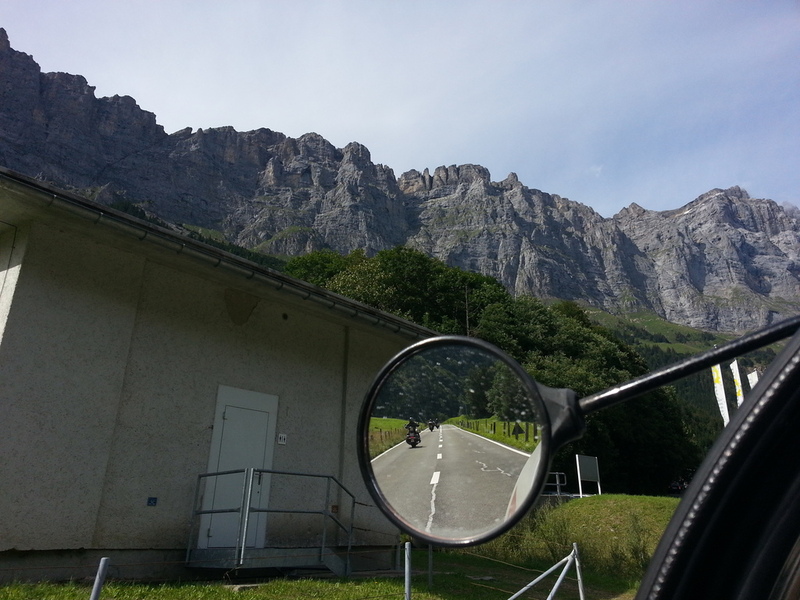 the road winds its way up the mountains and our views get nicer every kilometre. when climbing and going slower than usual, one thing to keep in mind is the TWIKE’s motor temperature. less air passing under the vehicle whilst maintaining a relatively high load will see your motor temperature soar. this is why the dreifels controller continuously displays the motor temperature and i’ve defined my own ~80°C cutoff limit where i stop and let the motor cool for a while… today, taking this break this is no problem at all, since the place we stop offers a beautiful view of the valley we’ve come through! 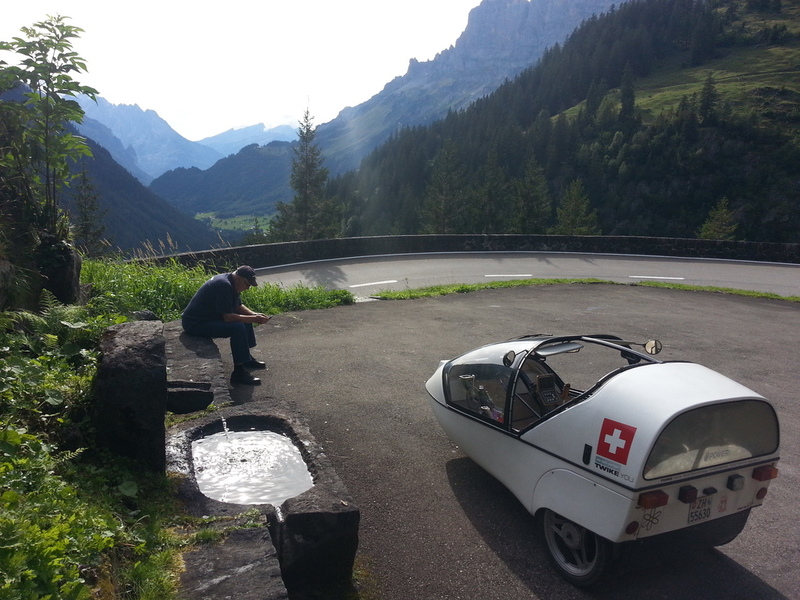 let’s cool the motor for a quick moment… and enjoy the view. TW560 has made it! 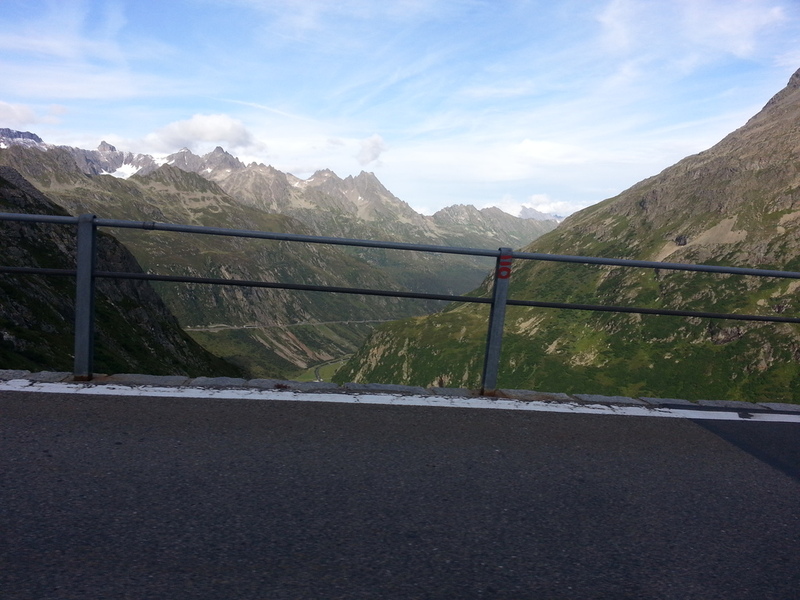 the sustenpass @ 2224 alt. currently, we have a nominal range of about 4kms – with more than 40 to go. 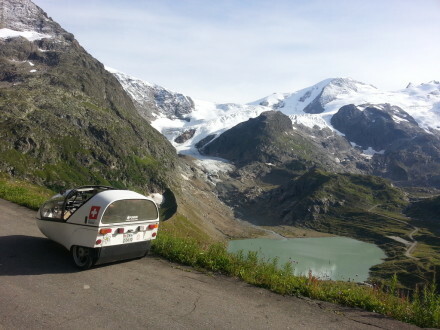 this is indeed the beauty of electric motoring… we know that we’ll have more than enough in our battery to make it to altdorf – and then some. the descent to wassen in canton uri has only 3 hair-pin bends, the rest is easy and not too steep, which will enable us to get maximum efficiency either rolling or recuperating. an other aspect of such a beautiful day is that the roads are full of interesting old timers and other special automotive concepts (US!). today, we met a very rare specimen! 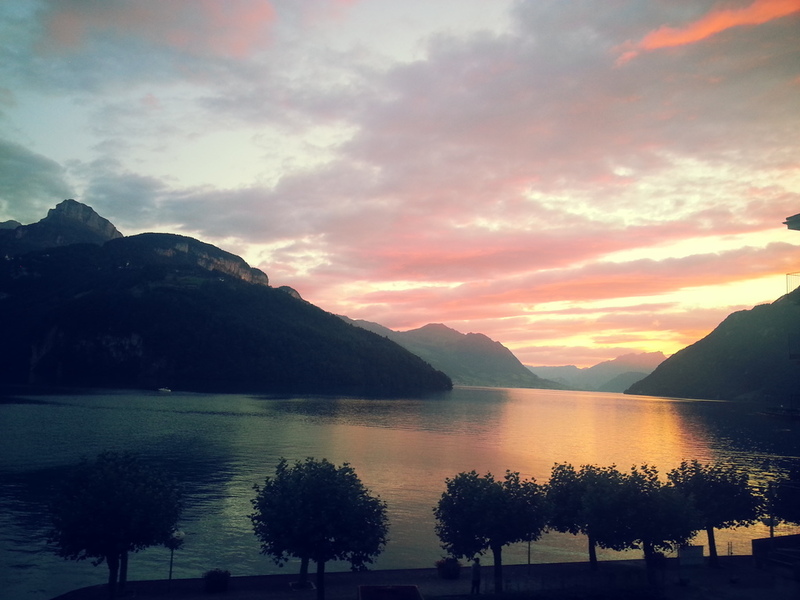 we arrive at altdorf with 12% left in the battery – a quick charge at the local park&charge charging station leaves us with about an hour to eat and relax before heading back home. 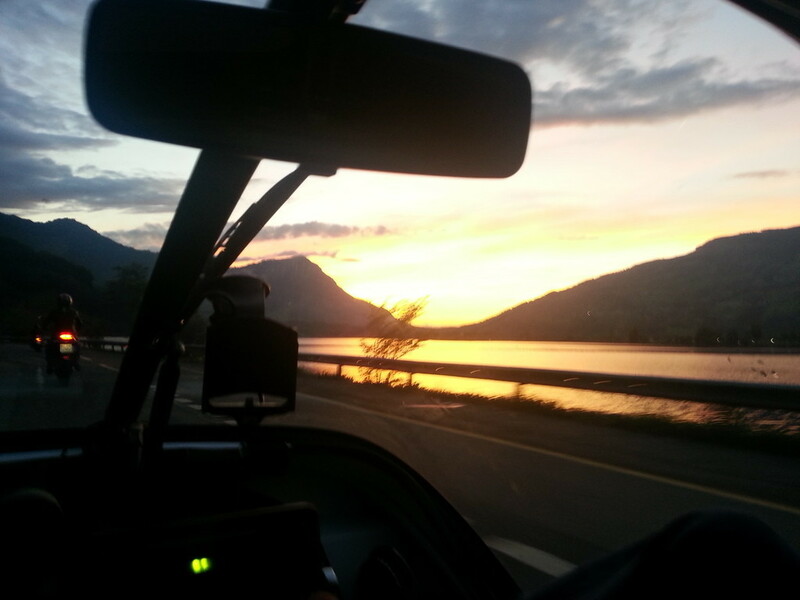 we start our return home as the sun sets. 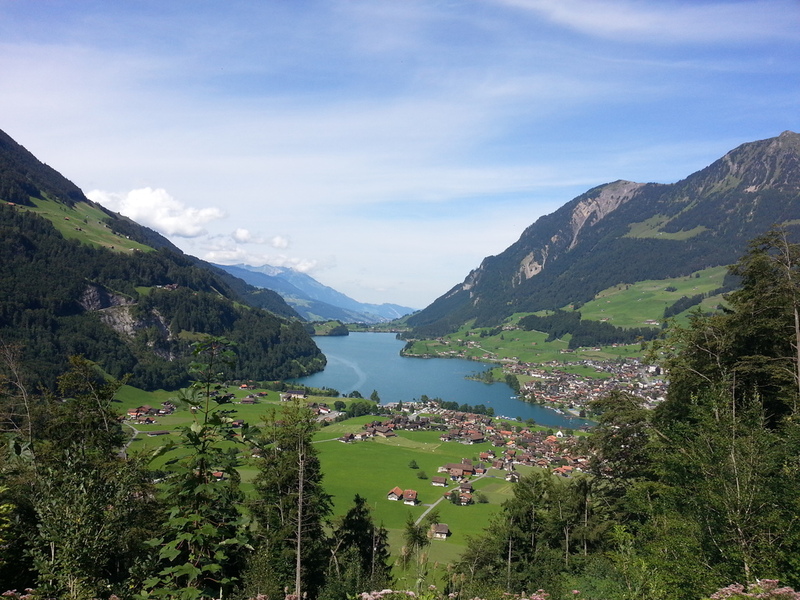 our route takes us past three lakes: lake lauerz, lake vierwaldstättersee and lake zug. all very nice and even more so with a sunset backdrop! we arrive back at about 10pm, jc takes TW231 back home.